All the latest news on websites, online marketing and e-commerce. 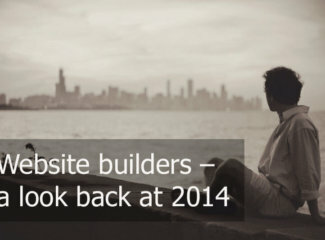 Are website builders good for SEO at all? If you’ve never heard of Volusion, you might be surprised. The company has been around since 1999, and they currently power 30,000 online stores. Which really isn’t all that impressive, when you compare it with the Shopify stats. Launched in 2006, Shopify is now the home of 800,000+ online stores. Talk about a fast growth! The 17 Best Wix Alternatives – Who Else Can You Build Your Website With? SiteGround Review – As Good As They Say? Wix Vs WordPress: Fast and Flashy Vs Full Features? Shopify: An unstoppable force in the global ecommerce builder market? About Shopify Experts We refer to Shopify as “The Swiss army knife of online stores” on our comparison chart, thanks to their impressive functionalities and versatility for building all kinds of ecommerces. But like a real Swiss army knife, it can take a while to learn exactly how to make use of all its functions! Shopify Vs Wix – Ecommerce Champion or Website Builder Superstar? Is Wix’s SEO really that bad? Squarespace Vs. WordPress: Can The All-In-One Site Builder Compete Against The Most Trusted CMS? Squarespace vs. Weebly: Who Will Make The Best Websites? Wix ADI Vs Wix Editor – How Smart Is Their Artificial Design Intelligence? AI website builders – do they live up to the hype? Website Builder and Ecommerce Support – Which Platforms Offer The Best Help? What is Wix Bookings and how to use it? Wix Templates: more than 300 beautiful designs – but are they right for you? We’ve often praised Weebly for being one of the easiest website builder out there. We love their robust features like team management that can give you or your company a professional online presence. But that’s all about how the websites operate. Today, we’ll take an in-depth look at the pros and cons of how they look. Will my store get found with Shopify’s SEO? How Good is Weebly for SEO Exactly? If you’re a creative entrepreneur trying to set up shop, you might wonder what website builder is right for your business. You may have custom needs to make your business and ecommerce shop run smoothly, like a quick and easy store software with simple themes to get up-and-running quickly, or robust design and customization tools. How Reliable Are Website Builder Servers Really? Whether at home or on the go, when users look up information on the web, they expect an immediate response. Initial content such as headlines and navigation should ideally be available within two seconds, giving the user the opportunity to interact with the website. Your website offers relevant information, is SEO optimized, and user-friendly, too? Hosting – CMS – Domain – Site Builders: How is it all connected and what does it mean for my website? Is my website secure with a website builder? How can I prevent my website from being visible before I have finished editing it? Facebook page vs. business website: what’s more important? Discontinuation of Office Live Small Business – Microsoft, are you kidding us? Now everyone can create their own websites: We help find the right website builder for you.